Hello, folks! 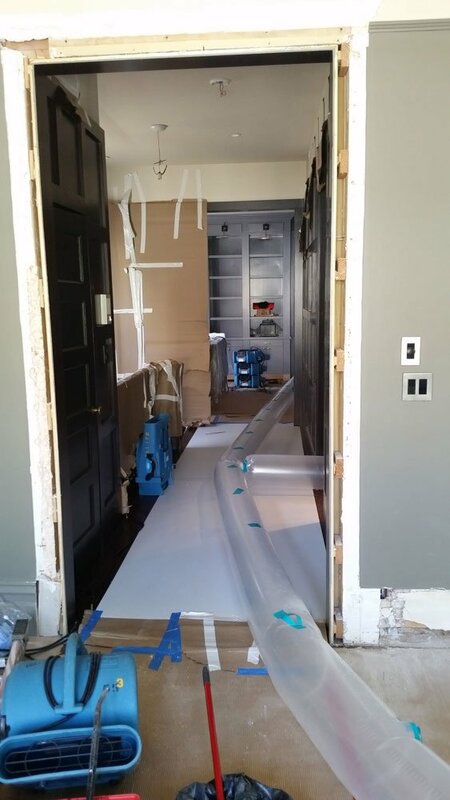 We know that we have not posted any details about our recent home-saving water damage restoration in San Francisco & Bay Area cases, but we have been quite busy lately. If June and July is the time for your family vacation, for us it is one of the busiest periods of the year. This is when our emergency team works 7 days a week with both commercial and residential clients. You will be probably surprised to find out that burst pipe problems are quite common in the warmest days of the year, which is why we are working extra hours now. 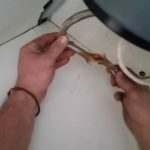 Today, we would like to tell you more about one of these cases referring to a burst dishwasher pipe which caused property damage and plenty of stress for its homeowners. Two weeks ago our crew has been called on a job in Buchanan St, San Francisco, CA. The request of the owner who called us was an emergency water damage recovery. 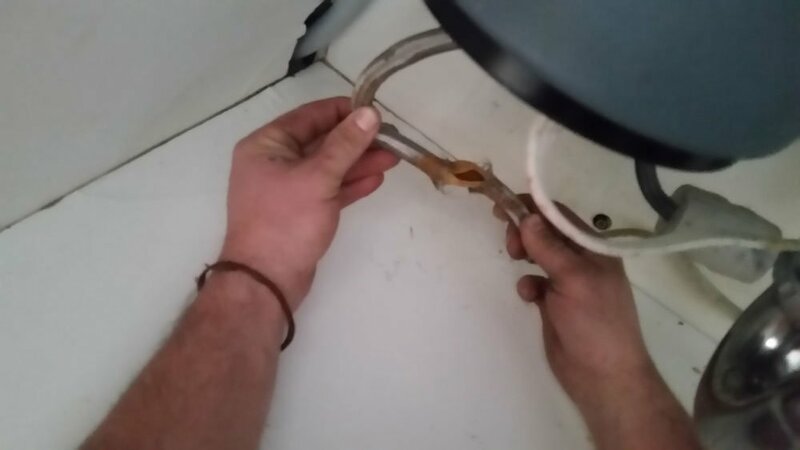 Contrary to other similar cases that we have been called to solve, this one was really an emergency because the water which came out of the dishwasher’s pipe while the appliance was working had managed to flood the kitchen, the corridor, and the whole living room with wooden floors. You don’t need to be an expert to know that solid natural wood and water are not best friends. Wooden floors can easily get damaged by even the smallest accidental flood. This is why, it was a smart move on our customer’s part to give us a ring right away. Thanks to their fast reaction and our powerful compact dehumidifiers, we were able to extract the moisture from all the flooring surfaces, affected by the accident before it caused major damage. 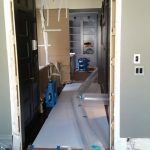 As you can see from the pictures below, we have used a dozen of top quality machines to get the emergency water damage recovery job done as fast as possible. If you have suffered similar problems yourself and would like to prevent any future situation like this, you’d better carefully choose your dishwasher’s hose next time. This hose, usually, provides the main water supply to the machine while it operates. For this reason, it has to be able to withstand a certain amount of pressure. Some rubber or plastic hoses like the one we pictured in that particular property are not so durable and can burst or tear up easily. So we strongly recommend you to search for hoses with a steel mesh covering for extra safety. You want to get extra tips and solutions to similar situations? You can always contact the emergency water damage recovery team of our company at (650) 835 4447. We are always ready to consult you further and help you solve your individual washing-machine issues!